"distutils.errors.DistutilsPlatformError: $MACOSX_DEPLOYMENT_TARGET mismatch: now "10.4" but "10.7" during configure"
At last night’s PyMNtos, talked about using Fabric for fun and profit: https://gist.github.com/1206734 . Updated Bash IPython Alias That Works for 0.10 and 0.11. In July 2011, IPython released version 0.11, which changes/ breaks the embedded shell api. Recently, people have been asking me how I created my resume. You already read about my princicples of resume design in Part 1, so let’s get on to building it! Google Docs: Look great! 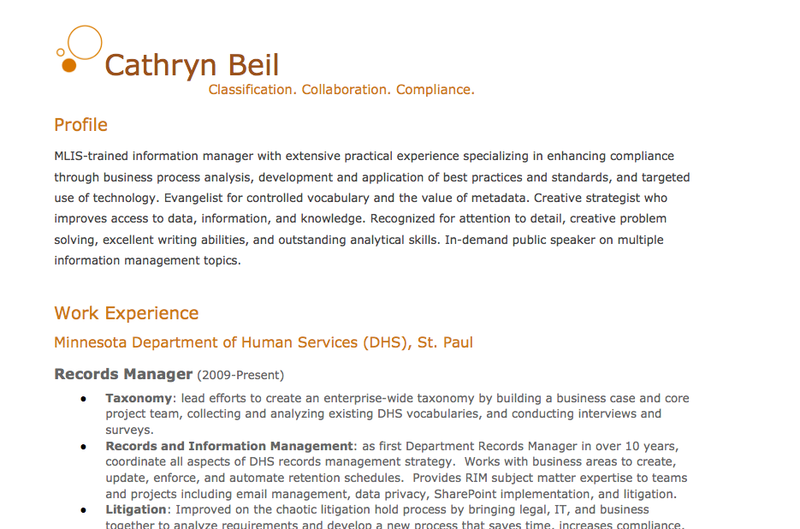 For example, look at: this resume, (made using “Create New>From Template”, then searching for Resume). LaTeX: Painful on OSX, very good rendering engine, can be fussy. Source control (i.e., they are plain text, and can be used to construct documents). css isn’t perfect, and is hard to get right. No hyphenation / layout (which InDesign and LaTeX get right). Webkit does poorly with the page and other ‘css -> print’ media formatting directives. position: fixed is supposed to print on every page (which can be exploited to make headers), but this doesn’t really seem to work on either Safari or Chrome. the @page directives in http://www.alistapart.com/articles/boom don’t seem to work in Safari. Automating the makeit bits is a little thin/hard/impossible. Maybe I just don’t understand AppleScript, osascript, and Automator, but getting a workflow of ‘open it in Safari, print to PDF, Preview though Quartz Filter’ is beyond me. Chrome issue: using ‘Save as PDF’ on OSX from Chrome doesn’t link images (at all). Save the following to a file, and the resulting pdf won’t link. This works fine in Safari. Chrome: much fussier on borders, made extra (blank) pages. Install Python, understand how to use the cli. On OSX, this is built in. On OSX, I use the makeit script. Look at it if you want to see the actual commands. They should be installed by default. In hiring for Renesys and PPNA, I have read hundreds of resumes. Few sell their candidates very well. Compelling and well-designed resumes have rescued candidates from the trash heap, and I have probably missed good candidates because I couldn’t see their greatness on paper. Presentation matters. Remember, resumes are your advertisement for yourself! It can be quite hard to get into the mindset of ‘selling yourself’, especially for modest and shy people (including me). ‘Selling’ sounds dirty, but selling well means respecting your client’s needs and giving them what they want (an awesome new employee!). Let’s move beyond the obvious failure points (typos, lies, lack of actual qualifications) to some simple tips to improve the power and impact of your resume. Writing the resume forces the applicant to choose a story. Deciding what story to tell guides what experiences and skills to include in the rest of the document. Where are you coming from? What are your strengths and weakenesses? Where do you want to be in two years? Management? Implementing? Running the shop? School? Giving a TED talk? Traveling South America? Build to reach that goal. Are you ‘punching above your weight’, or applying for jobs you are actually (gasp!) qualified for? When people read your resume, does your ‘evidence’ support your goal? Ask friends what they would look for in hiring for a particular position, and ‘patch over’ the parts that you are missing. Iterations and drafts here can work wonders! Make it easy for them to sell you internally. Make it easy for people to be part of your success story. Show how you can help their company / solve their problems. Make it easy to find information. Make it easy to see if you are fit or not (hard!). Stop worrying about page length. Seriously, people will read them on the screen. If you make the first page awesome, they will read more. Make sure you have enough bait in the first page to pull people in! Big margins give air and room for the design to breathe. Lines should have 65-70 characters for maximum readability. Nice fonts look good. Helvetica is classic, and free on OSX, but choose your own and season to taste. No more than two (one sans, one serif), and keep the number of color/size/font-face combinations small. Alignment matters. Think about gridlines and guidelines. Stay on message. Remember your goal: to advertise yourself. Any text that doesn’t support that goal should be trimmed. Write like it’s a press release. Summary sections ‘front-load’ the interesting material, and give the reader an easy way to sell you to other people inside the company. No bullets. They are wasted ink, most of the time. Use color. Bold and other typographic choices can sometimes be replaced by color changes. Remember that we are visual people. Remove “references available on request”. Of course they are! Be bold. Bold is succinct. Trim unnecessary words, especially weasel words and ‘liberal arts hedging’. Save your caveats and hesitations for in-person. Passing the HR buzzword filter is hard and tedious, so move all that stuff to the end. De-empahasize dates. Ageism exists, especially in tech. Move contact info (including possibly name!) to header or footer. Blind the resume to any bias-inducing information (name, apparent gender, etc.). Keep a text document with all of your scraps to get over the procrastination and inertia of starting. After you finish a draft start over from scratch, and see if you do better the second time. All iteractions are selections from the distribution of the ‘ideal resume’, and ‘averaging them out’ can get the highlights of both. Leave appropriate time. Like any document, resumes take time, and doing them in a panic won’t have good results. Release Announcement: Duck 0.1, a ‘simple data’ and JSON Verifier, written in Python. As a Boxing Day present to myself, I have released version 0.1 of Duck, a ‘simple data’ and JSON verifier. Extending the metaphor of duck typing, I often find it useful to see if a ‘simple data’ structure (one made of dicts, lists, ints, floats, strings, booleans and the like) is ‘close enough’ to what I need to be useful. does what I am doing even make sense? Starting at about 7:30 (CDT) tonight, Comcast DNS services went down for my Business class internet service in Minneapolis. Change your dns servers to another DNS (this should be under your wireless settings). An easy one to use (and remember!) is the Google DNS: 8.8.8.8 or 8.8.4.4.